Sustainably built single-family homes don’t have to be ugly. In this book, architects and homeowners share their perspectives on the interplay between ecology and contemporary architecture. For anyone who is in the process of building or renovating a home, sustainability is a critical issue ?especially since energy is likely to remain costly for the foreseeable future. Choosing to use resources responsibly makes as much of a statement about a home as the selection of floor plans, building materials, or furniture Ideally, our homes should be sustainable and look good at the same time. Building Better showcases single-family homes from around the world whose architecture proves that sustainable and attractive are not contradictions. The book’s selection of outstanding, top-quality work provides feasible examples for a new generation of homeowners with a discerning sense of style and environmental responsibility. The spectrum of featured projects ranges from energy efficient restoration and the construction of intelligent extensions to the planning and building of new low-energy or passive homes. The book introduces the latest building forms and materials as well as case studies examining the best division of space, architectural planning, and the use of innovative technologies to control and improve heating and air conditioning. 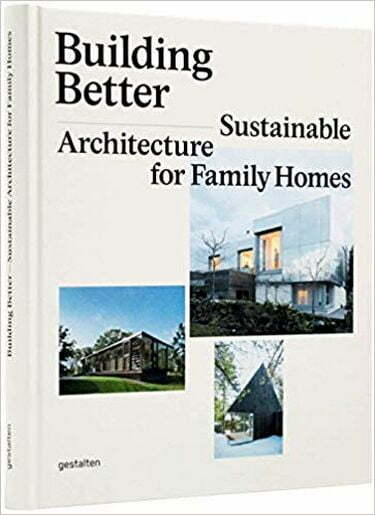 Consequently, Building Better not only provides a striking overview of the topic of sustainable building, but also insightful information on details from technical data to blueprints In the book, both architects and homeowners have their say Families talk about their ideas, desires, motivations, and real experiences. Against this background, Building Better is both a practical and inspirational guide for anyone who sees sustainability not as limiting, but rather as a creative opportunity. As such, it is an essential reference for everyone who wants to build a better home.